A club for mushrooms and mushroom appreciators. The evidence supporting the use of psychedelic drugs to treat treatment-resistant depression continues to build. 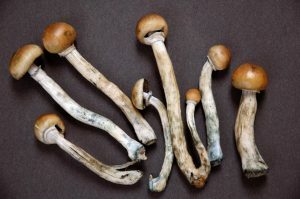 In the latest volley, a study finds that psilocybin, the psychoactive ingredient in magic mushrooms, may open an entirely new door to treating depression – by allowing deeply entrenched beliefs to become changeable. Read more at Forbes – Original article by David DiSalvo. We meet here the second Tuesday of September – June (except January) in the Floral Hall of Van Dusen Botanical Garden at 37th & Oak in Vancouver. © 2019 The Vancouver Mycological Society. All Rights Reserved.